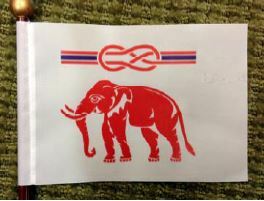 and as always Flags in the News, Portland Flag Miscellany, the “What’s that Flag?” (from quizmaster Max Liberman), and notes from our last meeting. 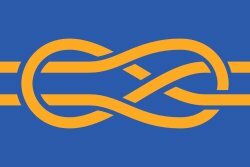 Click here for this latest issue, or see portlandflag.org/vexilloid-tabloid for access to this and all previous issues. 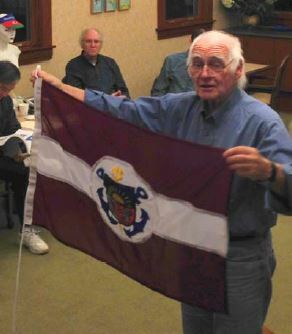 Sam Oakland shares one of his many newly-acquired flags: the Latvian Sailing Association burgee. 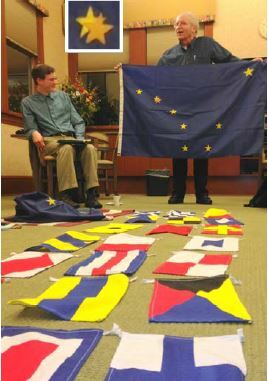 Michael Orelove displays his own astronomically-correct flag of Alaska, showing the constellation Ursa Major with a double star (Mizar-Alcor) in the handle (see insert at top).